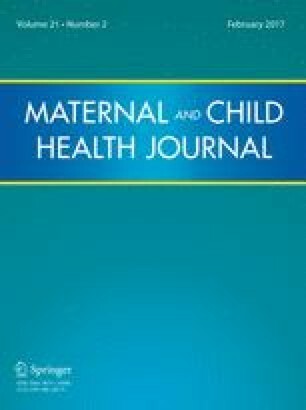 Purpose Examine fathers’ perceived reasons for their lack of inclusion in pediatric research and strategies to increase their participation. Description We conducted expert interviews with researchers and practitioners (N = 13) working with fathers to inform the development of an online survey. The survey—which measured fathers’ perceived reasons for their underrepresentation in pediatric research, recommended recruitment venues, and research personnel and study characteristics valued by fathers—was distributed online and in-person to fathers. Assessment Respondents included 303 fathers. Over 80 % of respondents reported that fathers are underrepresented in pediatric research because they have not been asked to participate. Frequently recommended recruitment venues included community sports events (52 %), social service programs (48 %) and the internet (60 %). Compared with white fathers, more non-white fathers recommended public transit (19 % vs. 10 %, p = .02), playgrounds (16 % vs. 6 %, p = .007) and barber shops (34 % vs. 14 %, p < .0001) and fewer recommended doctors’ offices (31 % vs. 43 %, p = .046) as recruitment venues. Compared with residential fathers (100 % resident with the target child), more non-residential fathers recommended social services programs (45 % vs. 63 %, p = .03) and public transit (10 % vs. 27 %, p = .001) and fewer recommended the workplace (17 % vs. 40 %, p = .002) as recruitment venues. Study brevity, perceived benefits for fathers and their families, and the credibility of the lead organization were valued by fathers. Conclusion Fathers’ participation in pediatric research may increase if researchers explicitly invite father to participate, target father-focused recruitment venues, clearly communicate the benefits of the research for fathers and their families and adopt streamlined study procedures. We would like to recognize and thank our community partners for their support and assistance in reaching fathers including (but not limited to): Massachusetts (MA) Department of Housing, MA Department of Children and Families, Cambridge Health Alliance, Boston Public Health Commission, Lynn Community Connections Coalition, Pernet Family Health Services, The Children’s Trust, Massachusetts General Hospital (MGH), The Fatherhood Project at MGH, Community Action Agency of Somerville Head Start, and the National Fatherhood Initiative. We would also like to recognize the fathers who completed the survey and shared their perspectives. All phases of this study were supported by a grant from The Harvard Clinical and Translational Science Center (grant number 3UL1TR001102-02S1). The funding source had no role in the design and conduct of the study: collection, management, analysis, and interpretation of the data; preparation, review of approval of the manuscript; and decision to submit the manuscript for publication. Parker, K., & Wang, W. (2013). Modern Parenthood: Roles of Moms and Dads Converge as They Balance Work and Family. Retrieved from Washington, D.C.: http://www.pewsocialtrends.org/2013/03/14/modern-parenthood-roles-of-moms-and-dads-converge-as-they-balance-work-and-family/.